The government has announced Liberal Senator George Furey has been appointed Speaker of the Senate, replacing Conservative Senator Leo Housakos. 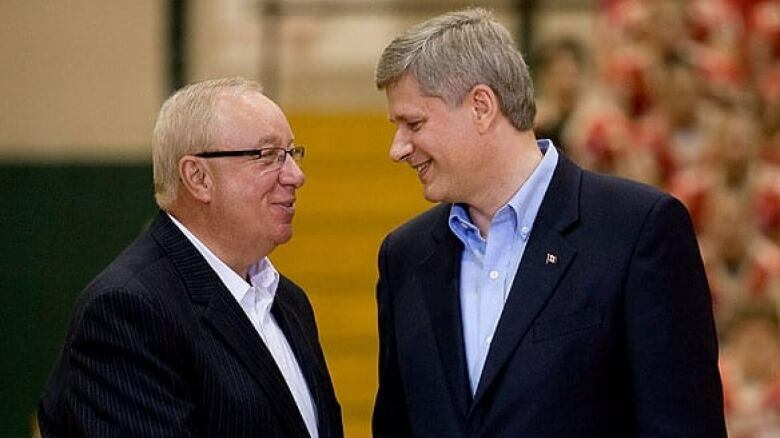 Meanwhile, Quebec Senator Jacques Demers has announced he is quitting the Conservative caucus to sit as an Independent. The Governor General has appointed Liberal George Furey as Speaker of the Senate, replacing Conservative Senator Leo Housakos. Government House Leader Dominic LeBlanc made the announcement at a press conference today to outline the government's creation of advisory panels for future Senate appointments. "Our chamber is at a crossroads," Furey told his Senate colleagues Thursday afternoon. "Truly, we are entering uncharted waters, in which we are invited by the government to reinvent ourselves in a less partisan way and fulfil our roles as envisioned under the constitution as an independent chamber of sober second thought." "I know uncertainty can be unsettling, but I have confidence that working together, with respect and commitment to this institution, we can meet the challenges ahead," he said. "I believe that Senator Furey will promote respectful, productive deliberations among Senators and ensure strong accountability to Canadians," said Prime Minister Justin Trudeau in a press release. Furey, a lawyer from St. John's, N.L., was named to the Senate in 1999 by then-prime minister Jean Chrétien. He was a member of the Senate committee in 2013 that handled reports on the Senate expenses of Mike Duffy and other senators. Furey was expected to testify next Monday at Duffy's fraud trial as the final Crown witness. Thursday's announcement is not expected to change that. 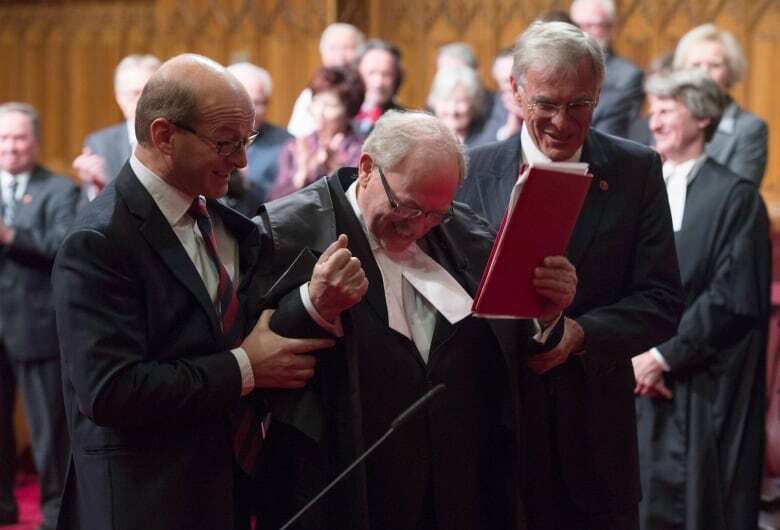 While all this was unfolding, Quebec Senator Jacques Demers announced in a press release he was leaving the Conservative caucus and would sit as an Independent senator from Quebec. Demers told reporters later in the morning he was leaving because "there were things going on in the Senate that I just wasn't comfortable with," pointing to the ongoing expenses scandal as one factor in his decision to leave the Tory caucus. "When you're on the team you have to vote for the team," Demers said. "Now I just want to go and do things that I actually believe from my heart that I could be a better help for as an Independent." Demers said he wanted to focus on literacy issues and the rights of women and girls during the remainder of his term in the Upper Chamber. Demers also said he was disappointed that he was "benched" by the Conservatives during the last federal election campaign. "I was pushed away and they said 'Listen, we don't need you any more.' That's when I said I'm not part of the team," he said. "The decision was made." The former NHL hockey coach, who was appointed in 2009 under former prime minister Stephen Harper, becomes the second Conservative senator to make such an announcement, following New Brunswick Senator John Wallace's decision last month to leave the Tory caucus over "irreconcilable differences." With Demers's move, there are now 45 Conservative Senators, 29 Liberal-appointed Senators and nine independents, with 22 vacancies. As Liberal leader, Justin Trudeau announced nearly two years ago that Liberal senators would no longer be members of the party's caucus, although most still identify as Liberals. Housakos was informed of the decision to replace him Thursday morning by Senator James Cowan, leader of the Liberals in the Senate. Earlier, he'd released an open letter titled "A Senate for All Canadians," which appeared to take aim at the Liberals intended changes to the appointment process. "More than ever, today's politicians must listen to the voice of the people and abide by the will of the majority," the letter opened. "However, in a country as diverse as Canada, the reflex among some of today's politicians to be strictly and uniquely populist runs the risk of marginalizing our minorities, overlooking our diversity, and undervaluing our multiculturalism." "Despite what is often reported, the Senate is an autonomous and independent body," the letter continued. "Senators understand their role in the national Parliament and strive to contribute to the country's well-being while respecting the trust invested in them." Thursday's moves come as MPs gather on Parliament Hill for the election of the Speaker of the House of Commons. The Senate will host all parliamentarians Friday for the speech from the throne.